Please support a fellow writer get published - Share but more importantly Nominate / Vote on Kindle Scout website !. 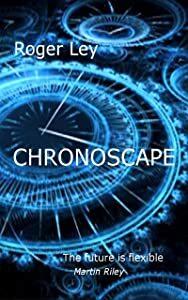 My writing group colleague Roger Ley has his new novel Chronoscape on Kindle Scout for 30 days - he needs nominations! I've read this sci-fi book and liked it a lot. or I wouldn’t be recommending it. All about changing the future by adjusting events in the past and the consequences thereof - news, history changed through backward time travel done via piloted drones on miniature scale (I'll say no more now!) but beware "The future is flexible,we can change it "
In case you didn’t get the message!